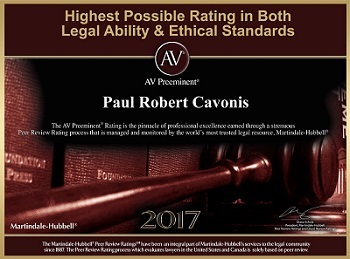 Paul R. Cavonis - Seminole Injury Lawyer | DeLoach, Hofstra & Cavonis, P.A. I've been practicing law for over 24 years and have trial experience including both jury and non-jury trials. I pride myself on my courtroom experience and firmly believe such experience is essential to get good results for my clients. There is no magic or mystery to this. We all know that negotiating from a position of strength results in the best possible outcome. When you have an experienced trial lawyer on your side, you are in a position of strength because your opponent knows your lawyer will take your case to trial if necessary. As I explain to my clients when describing the litigation process, the strategy should always be to hope for the best, but plan for the worst. By planning for trial and expressing the willingness and ability to take the case to trial, the likelihood of trial decreases substantially. This is so because your opponent knows you are ready, willing and able to assert your rights in court, thereby creating favorable conditions for a good out-of-court settlement. Simply put, having an experienced trial lawyer in your corner increases the chances your case will settle under favorable terms out-of-court. On the other hand, if you are represented by an attorney who doesn't go to trial, and believe me there are many of them, you're chances of a favorable out-of-court settlement decrease. Again, there is no mystery to this. 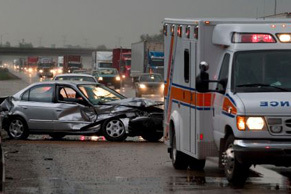 Using the example of an injury claim, why would an insurance company pay you what your claim is worth if they know your attorney won’t or can't take your case to trial? The answer is simple: there is no reason for them to pay a fair amount because the insurance company knows your attorney is likely to take whatever settlement they offer. It will come as a surprise to no one that insurance companies want to pay as little as possible. In our firm, most cases don’t require a trial because we prepare them for trial. It's a simple formula that just plain works. Make sure whoever you hire as your lawyer understands this. We certainly do.